Best Oatmeal Cookies Around – Nutrition.Health.Life. I posted about these cookies back in 2009. They are hands-down, the best cookies I have ever eaten. What’s even better? They are hands-down the easiest cookies I have ever made. Healthy + Delicious + Simple – what more could you ask for?? I have an unhealthy love for dried fruit and nuts, so we don’t tend to keep them around the house. Because of that, I have started to make these cookies without the add-ins and they are just as tasty. I also thought the original recipe was a little too sweet, so I modified the sugar a bit….well, half, so not just a bit. Don’t worry, they are still very sweet (even without the add-ins)! Mix flours, baking soda, and salt in a medium bowl. Beat butter and sugars until creamy. Add vanilla and eggs; mix well. Slowly add the dry mixture to the butter mixture, beating on low. Beat until well mixed (and then place the beaters on high to get the rest off). Add oats and mix well with a rubber spatula or wooden spoon. Drop dough onto a cookie sheet; leave about 2″ apart. Bake 8-10 minutes, until edges are golden. 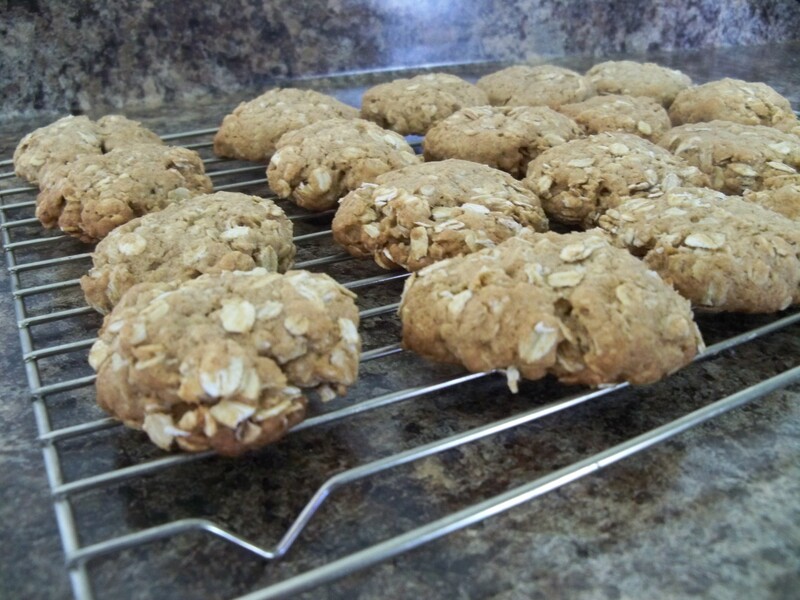 This entry was posted in Nutrition and tagged baked goods, cookies, desserts, oatmeal. Bookmark the permalink.